Surely one of the most famous haunted spots in the city – the tragedy itself being forever attached to this serene spot’s name. 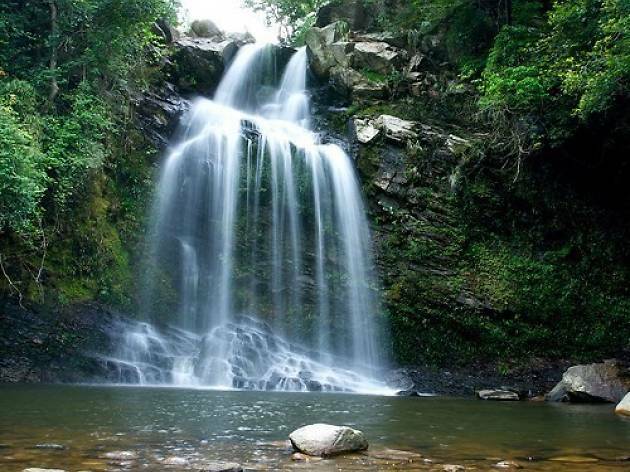 The story, a famous local folktale, goes that a bride fell into the connecting river and was washed down, over the waterfall and into the pool below where she drowned, unable to escape due to her heavy wedding dress. If that’s not enough for you, apparently pirates also murdered folks here and dumped their bodies in the water. Bonus ghosts. Bride’s Pool Road, Tai Mei Tuk. A building with a much more recent – and extremely grisly – backstory. In 1999, a 23-year-old woman was brutally tortured over the course of a month and eventually murdered at 31 Granville Road. 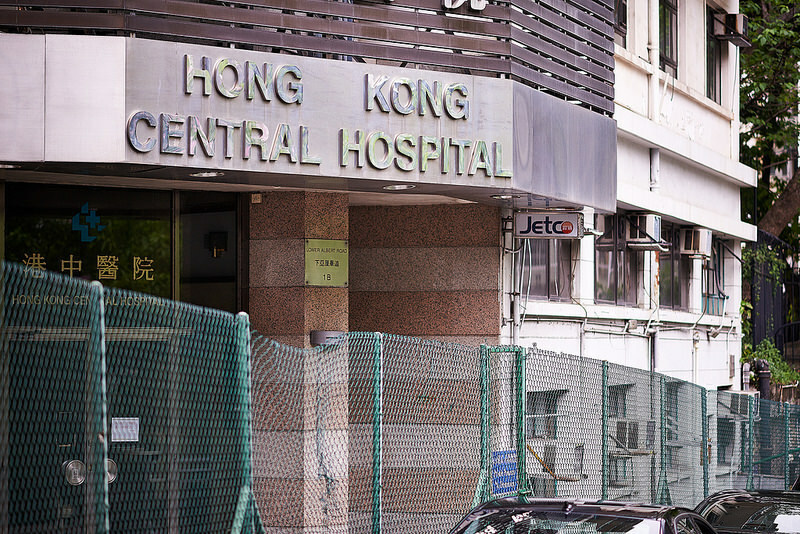 Police discovered pieces of her dismembered body around the apartment, the woman’s head stuffed inside a Hello Kitty doll, making this something of a Hong Kong house of horrors. Ever since, there have been reports of the girl’s spirit wandering around the apartment. 31 Granville Road, Tsim Sha Tsui. The most haunted school in the city. 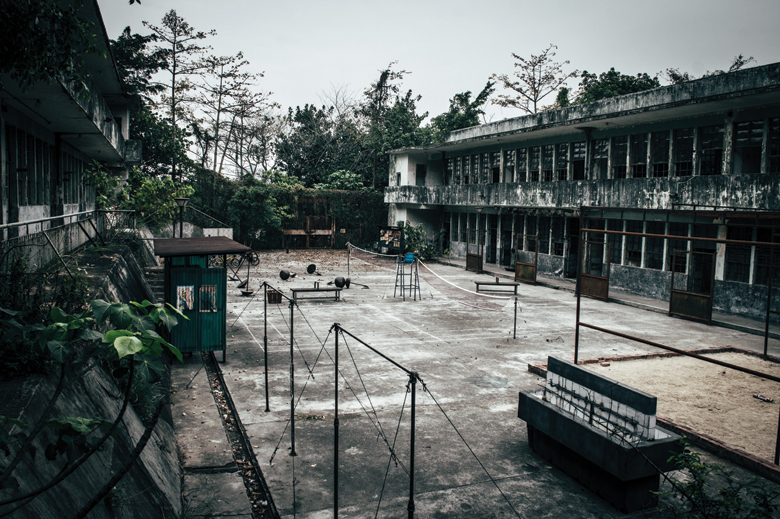 No, that’s not the premise of a really lame Scooby Doo episode but the abandoned Tat Tak School in Yuen Long. 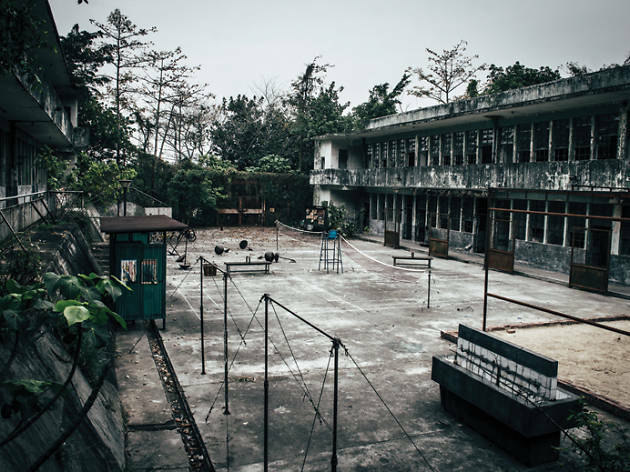 The horrors of war have left an indelible impact on this Yuen Long school, with the school being the supposed site of a massacre during WWII. 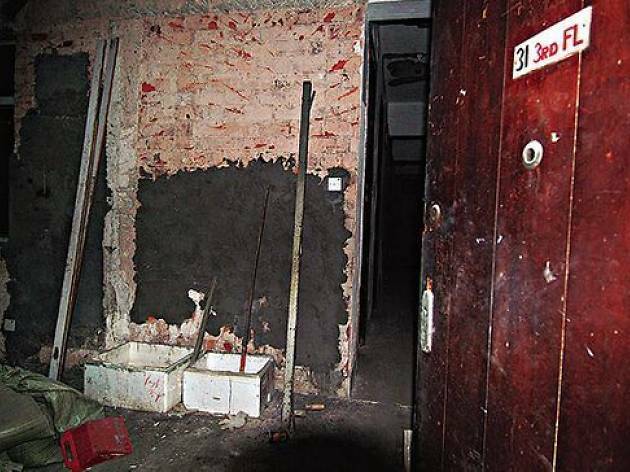 The most commonly spotted spook is found in the girls’ bathroom where an ex-principal who committed suicide is said to linger, emitting a classic otherworldly shriek at anyone who comes too close. Nam Pak Road, Yuen Long. Unlike the arguably speculative nature of the ghostly credentials of some places, this building is the site of a very real tragedy. 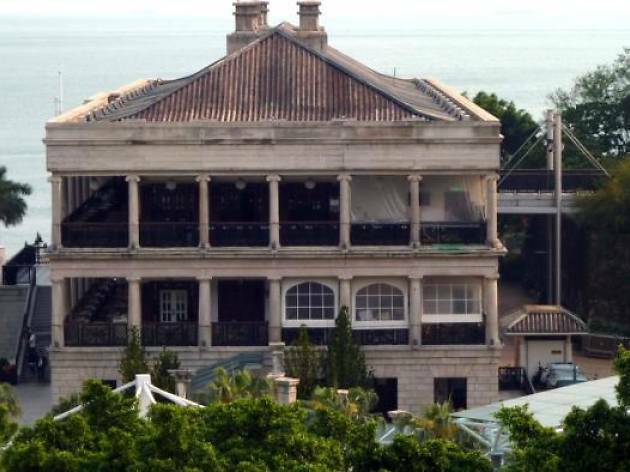 Built in 1892 as a mental hospital, it was used during the Japanese occupation of the city in World War II to torture and execute rebellious locals. Ghosts or not, the building’s morbid past gives it an undeniably unsettling atmosphere. Rumour has it that women can be heard crying, mysterious footsteps abound, ghosts burst into flames and decapitated bodies float by. 2 High Street, Sai Ying Pun. 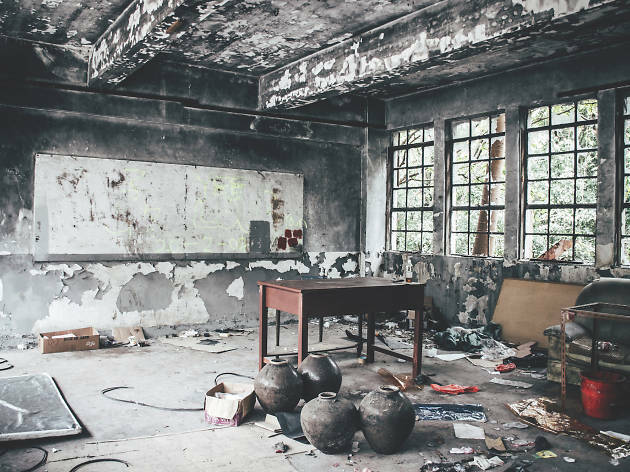 Encircled (and now largely owned) by dense forest in the far northeast New Territories, abandoned So Lo Pun is one of Hong Kong’s oldest villages – and you know how keen ghosts are on old stuff that’s abandoned. Much information about the village is prefaced with ‘supposedly’, which obviously just adds to the intrigue. For example – supposedly – many of the village’s inhabitants died on their way to a wedding in a boat accident, hence the hefty spectral population. So Lo Pun, New Territories. 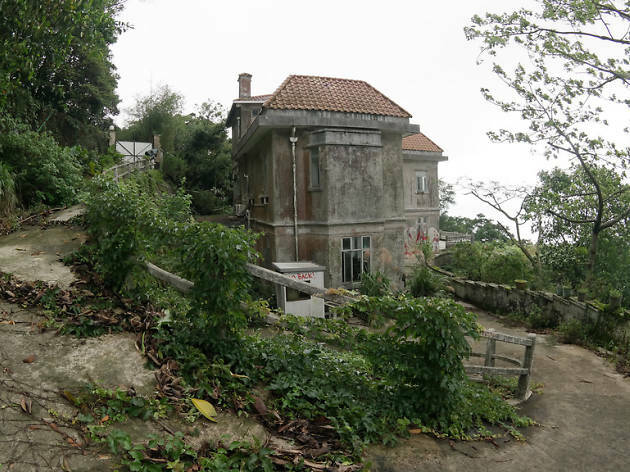 It’s not often that you’ll see a piece of prime real estate on The Peak being left abandoned, but such is the case with Dragon Lodge. 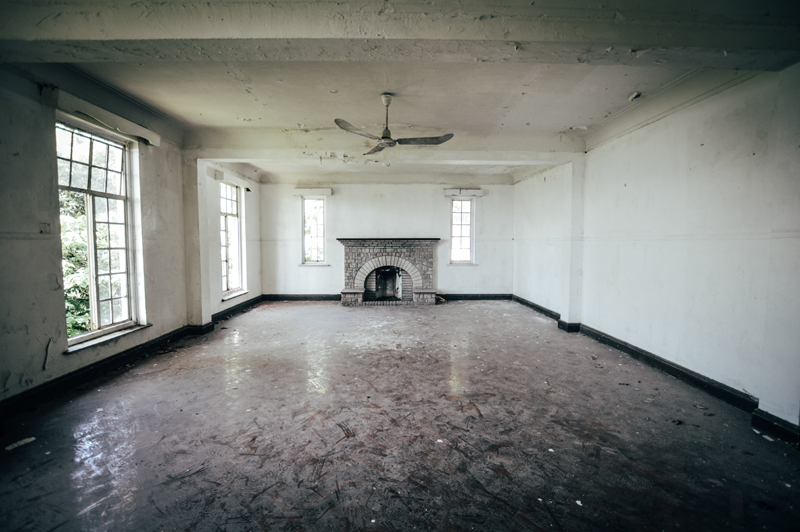 The decrepit mansion saw seven nuns executed during the war (noticing a theme here?). Previous owners have complained of strange noises and other assorted freakiness. This used to be a popular spot for ghost hunters and explorers to the point where they had to increase security in the area, so if you fancy a look, do be careful. 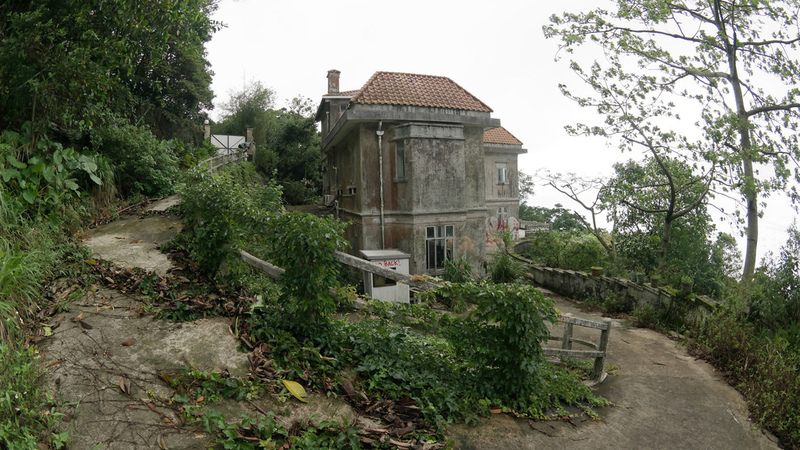 32 Lugard Road, The Peak. 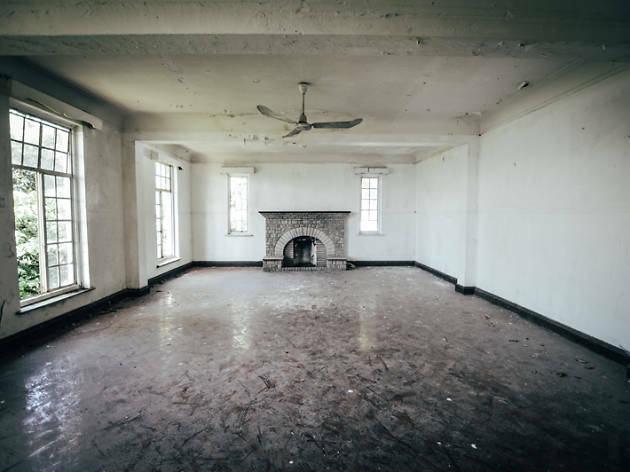 Built in the 60s, 6,000 abortions used to be performed at this abandoned hospital every year. 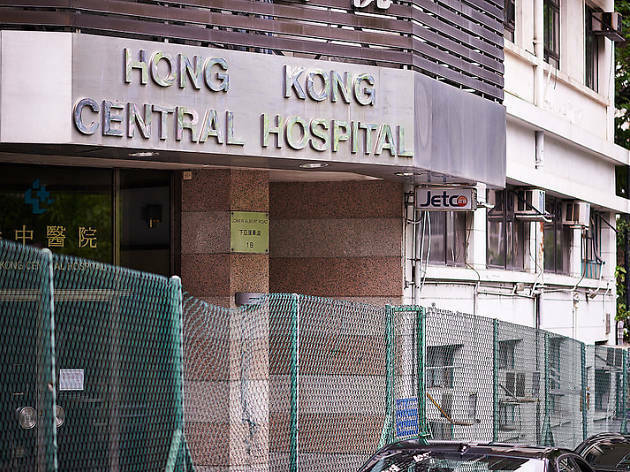 Since its closure in 2012, passers-by have felt an eerie presence and reported unsettling noises. A peek inside reveals corroding equipment and a general state of desolation that would give anyone goosebumps. 1B Lower Albert Road, Central. This ancient colonial building, once dubbed the Mount Davis Concentration Camp, is said to be the site of drug-induced torture, interrogation and murders by British Special Branch. Some say screams can be heard at night and headless figures can be seen through the windows. Intersection of Victoria Road and Mount Davis Road, Kennedy Town. 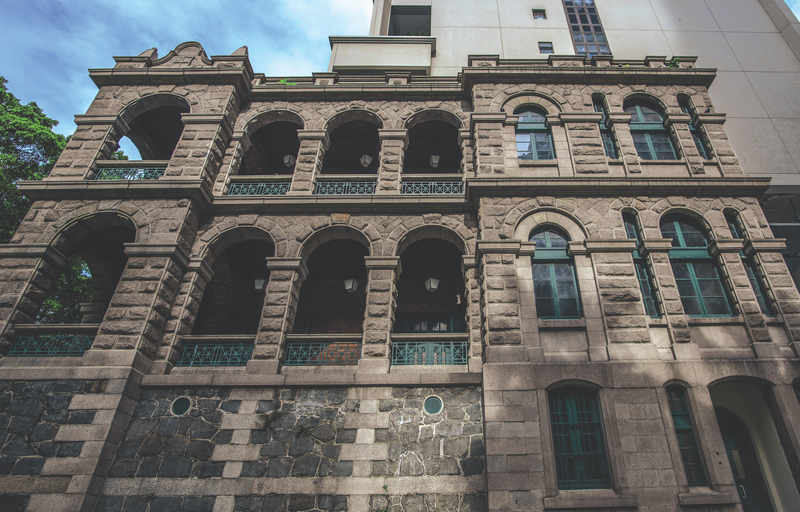 During the Japanese occupation, this historic building was used as an execution spot where more than 4,000 Hong Kong citizens were tortured and murdered. 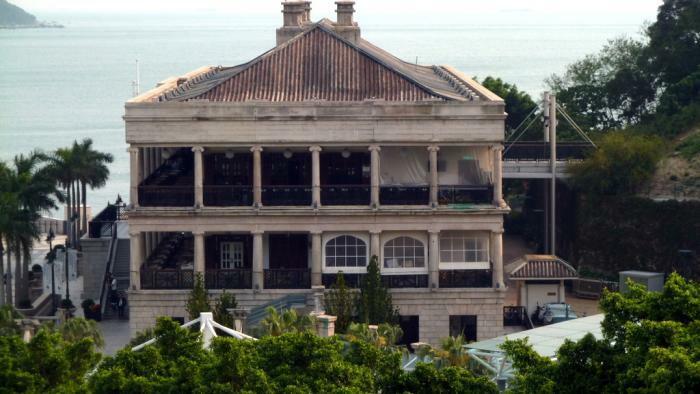 Stories of ghosts disrupting the grounds became so troubling that the Hong Kong government ordered two exorcisms at the site in order to free the lost souls. Stanley Main Street, Stanley. 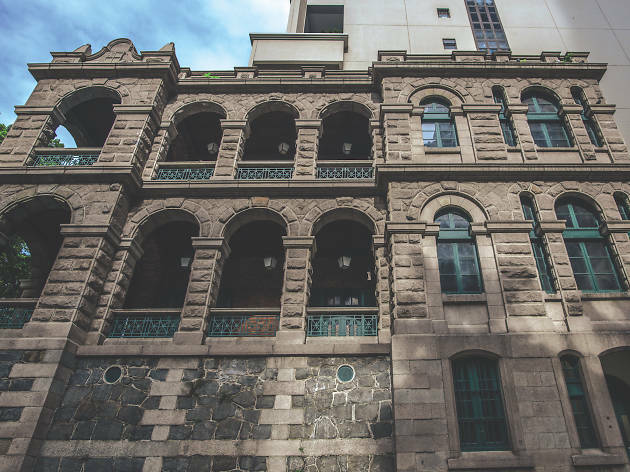 This Grade I historical building located in Wan Chai was used as a military brothel during the war and women were often raped and murdered here. In 2003, a group of middle school girls who attempted to stay overnight claim to have seen a ghost. One said she was possessed by it and another was in need of psychiatric treatment afterwards. 55 Ship Street, Wan Chai. Searching for more spooky spots? Across the city, pockets of once populated places lie dormant and forgotten. 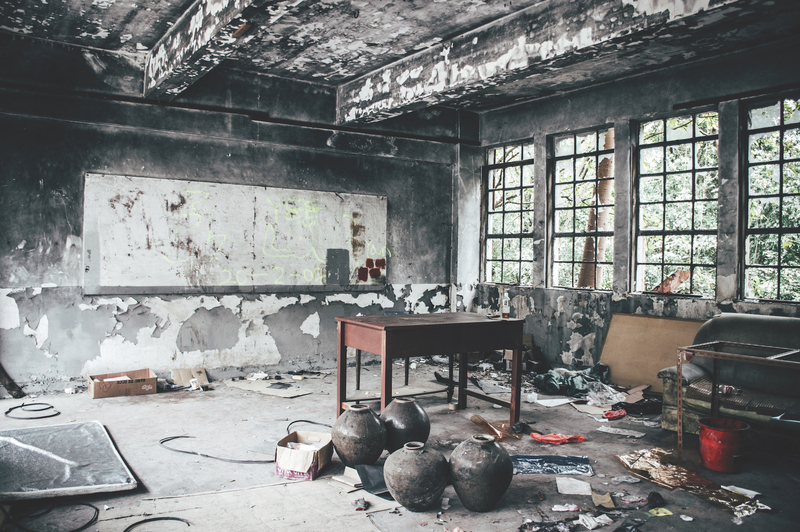 Journey into the forgotten relics of Hong Kong’s past.